Washington, June 18 (IANS) US First Lady Melania Trump has spoken against a controversial administration policy that separates immigrant parents from their children at the Mexico border, media reports said. “Mrs. Trump hates to see children separated from their families and hopes both sides of the aisle can finally come together to achieve successful immigration reform. 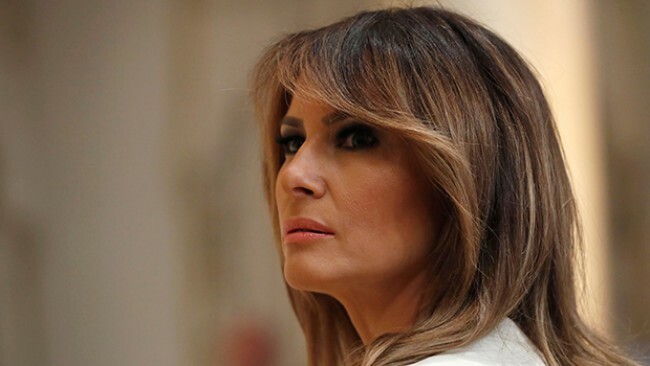 She believes we need to be a country that follows all laws, but also a country that governs with heart,” her spokeswoman Stephanie Grisham said in a statement on Sunday night. The policy charges every adult caught crossing the border illegally with federal crimes, as opposed to referring those with children mainly to immigration courts, as previous administrations did, reports CNN. Because the government is charging the parents in the criminal justice system, children are separated from them, without a clear procedure for their reunification aside from hotlines the parents can call to try to track their children down. The policy to refer all adults for charges was publicly announced May 7, but the Justice Department announced it would prosecute 100 per cent of the cases referred to it at the beginning of April. Nearly 2,000 children have been separated from their parents and guardians and placed into holding facilities between April 19 and May 31 of this year, according to the Department of Homeland Security. President Donald Trump has repeatedly blamed the Democrats for the situation despite his administration instituting the policy change. “Democrats can fix their forced family breakup at the Border by working with Republicans on new legislation, for a change!” he tweeted on Saturday. The policy has garnered widespread condemnation. Former First Lady Laura Bush labelled it as “immoral”. “This zero-tolerance policy is cruel. It is immoral. And it breaks my heart,” she wrote in the Washington Post. “Our government should not be in the business of warehousing children in converted box stores or making plans to place them in tent cities in the desert. “These images are eerily reminiscent of the Japanese American internment camps of World War Two, now considered to have been one of the most shameful episodes in US history,” she added. On Sunday, Democratic lawmakers visited a detention centre outside New York City and headed to Texas to inspect facilities where children have been detained.